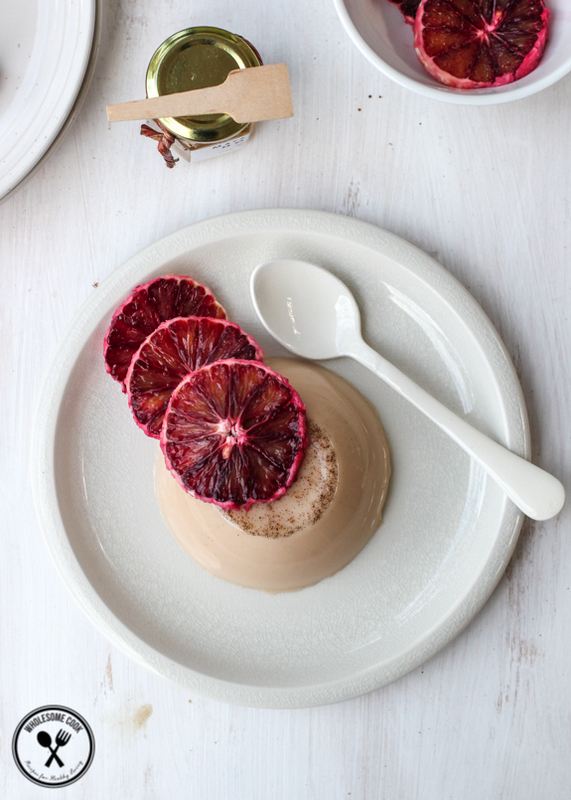 As the weather warmed up briefly, I whipped up a few cups of this creamy and lightly sweet panna cotta to go with a haul of market fresh blood oranges. Raspberries were served as an option, you know, in case I kept the blood orange slices all to myself. I almost did. Every year, toward the end of August, I can hardly contain my excitement. Yes, it is around the time of our wedding anniversary and I am grateful for the marriage Matt and I have been blessed with. But as we all know, relationships are never that simple. They are a work in progress forever, otherwise they can become fragile and frail. Our plan is to continue to be supportive, honest and happy. All ’round good, you might say. Just like blood oranges. I utterly adore them. All dressed in breathtaking hues of orange, crimson and red, their flavour is citrusy and sweet with just a hint of lip-puckering tartness. They peel well and make fantastic juices (I blend mine in their entirely with some water). 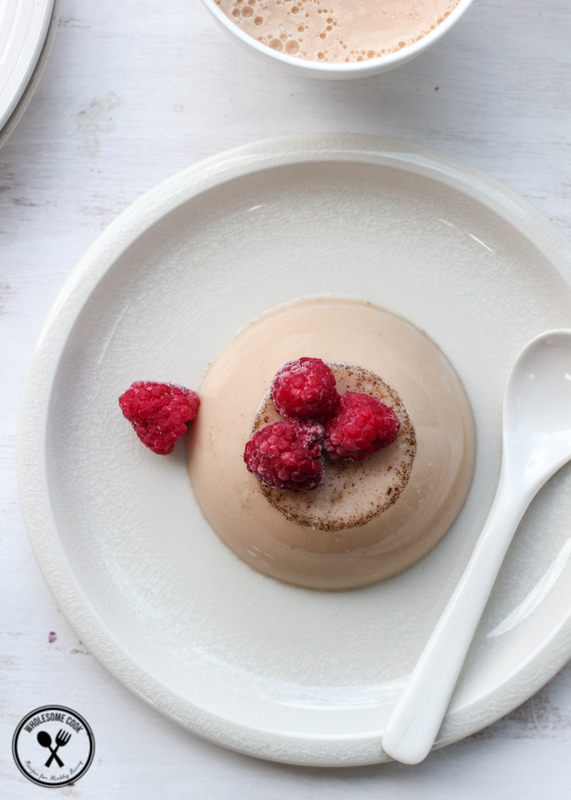 They also go perfectly well in cold cheesecakes, which got me thinking and a non-dairy variant of sorts on this particular dessert. A few weeks ago I received a special care package from the good folks at Pure Harvest – you probably know them best for their fructose-free rice syrup. If you are gluten-free you most likely have heard of them because of their organic tamari which has been in my fridge ever since I’ve decided to change from wheat-containing soy sauce. But they also make fantastic non-dairy milks. I’ve been looking for a good quality cupboard almond milk for a while, because it’s always handy in a household where milk – dairy and otherwise, is consumed quite a bit. There’s nothing worse than having to break your morning routine to run up the road, in the cold, for more of the stuff. Basically, I was after a long-life non-dairy equivalent of the UHT dairy-milk. The reason I turned to a dairy-free alternative is because too much fresh dairy makes me break out in pimples! 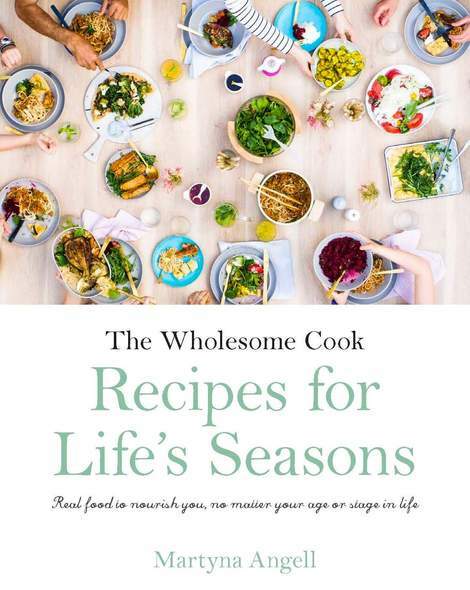 Here’s a different way for a slight intolerance to fresh dairy-overdose to manifest itself. Sigh. The Pureharvest Organic Activated Almond Milk ticked all the right boxes. It was sweetened with fructose-free rice syrup. Tick. It was free from carrageenan (a seaweed extract that helps emulsify and thicken non-dairy milks but has been linked to autoimmune disesease). Tick. It could be stored in the cupboard for months. Tick. Despite my best intentions. it did not last long there either. 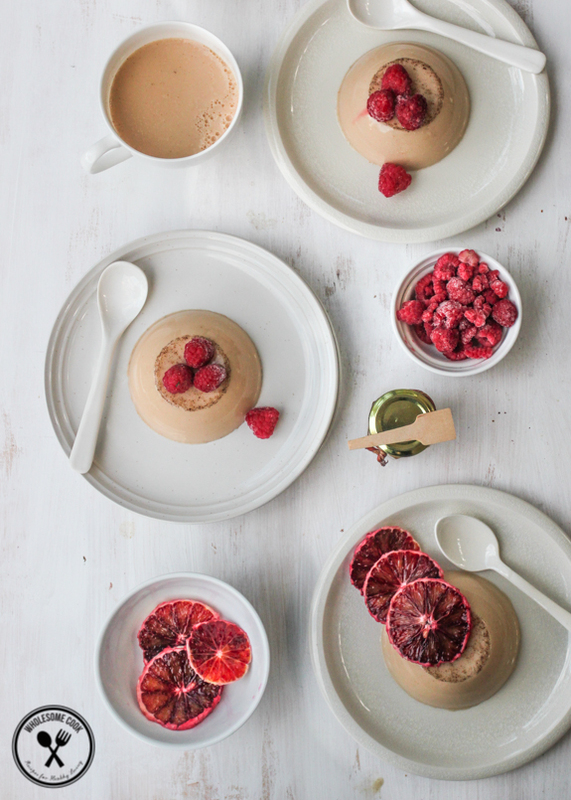 As the weather warmed up on the weekend, I whipped up a few cups of this creamy and ever so lightly sweet panna cotta to go with a fresh haul of market fresh blood oranges and a couple of eggs for extra nutrition. Raspberries were served as an option, and in case kept the blood orange slices all to myself. I almost did. Leftover almond milk provided much needed comfort in copius amounts of chai we drank as the weather turned. Now that I think about it… blood oranges are probably my favourite fruit and they, together with our wedding anniversary, are what gets me excited, every year, toward the end of August. Have a great weekend and stay tuned for a Pure Harvest Goodie Box giveaway in September! Now, because the fat content of these is much lower than in regular cream and milk panna cotta, the result is more like a soft jelly. It is still very lovely and moreish. 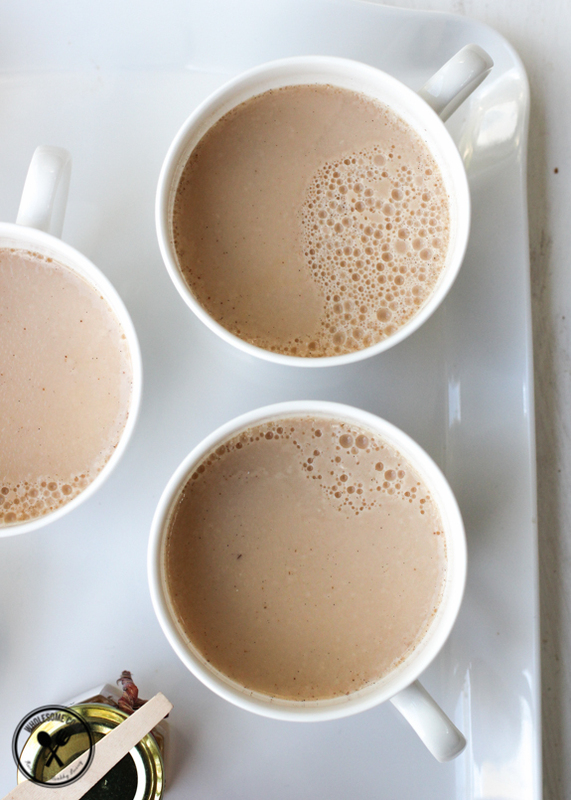 If you'd prefer more flavour, try steeping a chai tea bag in the warm almond milk. While I used rice syrup in the recipe, you could use the same amount or slightly less that of honey. Serve in cups with blood orange chunks, or macerated berries, or turn out into serving bowls or plates. 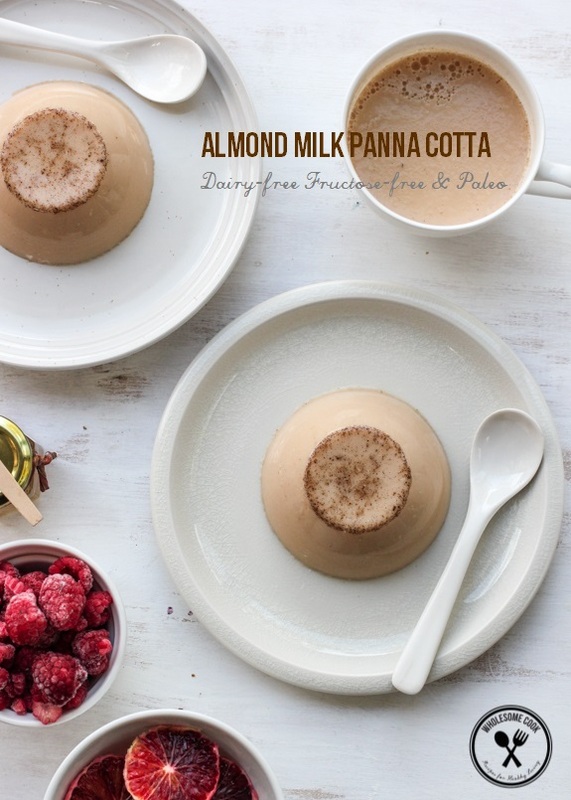 Place almond milk, rice syrup (or honey) and vanilla in a small saucepan. Heat over medium heat until warm. Add gelatin, mix until dissolved and remove saucepan from heat. Place eggs in a bowl and whisk until pale and fluffy. Add warm almond milk mixture and whisk to combine. Divide mixture between 4 serving bowls or tea cups and place in the fridge for around 4 hours or until set. 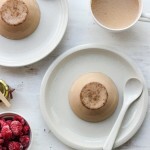 To serve, top the panna cotta with fruit inside the cups, or turn it out onto serving plates and top with fruit then. Thank you so much for the heads up on Pure Harvest almod milk. Sounds like a great pantry staple. Have a lovely day. Amazing! 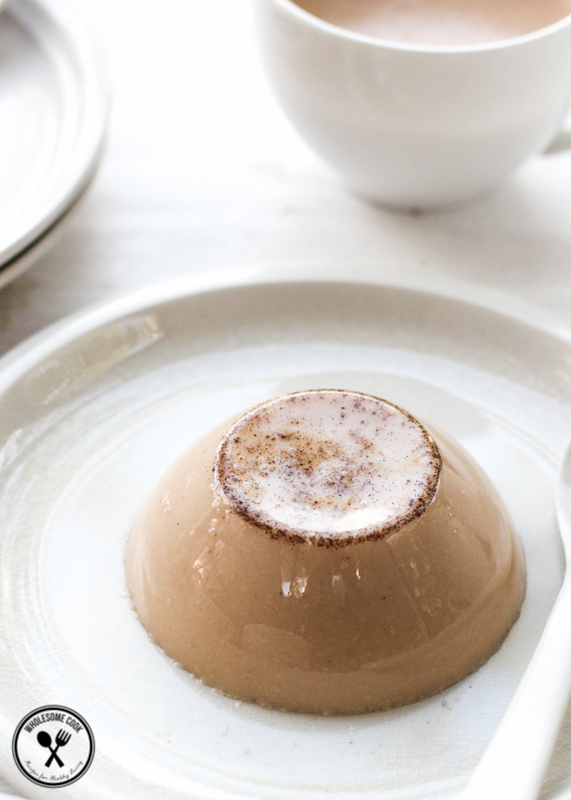 I’ve been looking for a good alternative panna cotta recipe for ages! Do you think I can achieve the same results using agar agar in place of gelatine? How gorgeous Martyna! I’ve shared this with my blood orange grower friend! Nice photos… I like the way it look. seems really great. Looking forward to making this stat! Sounds delicious and a great way to get good nutrients (from the egg yolks and gelatin) in the form of dessert. 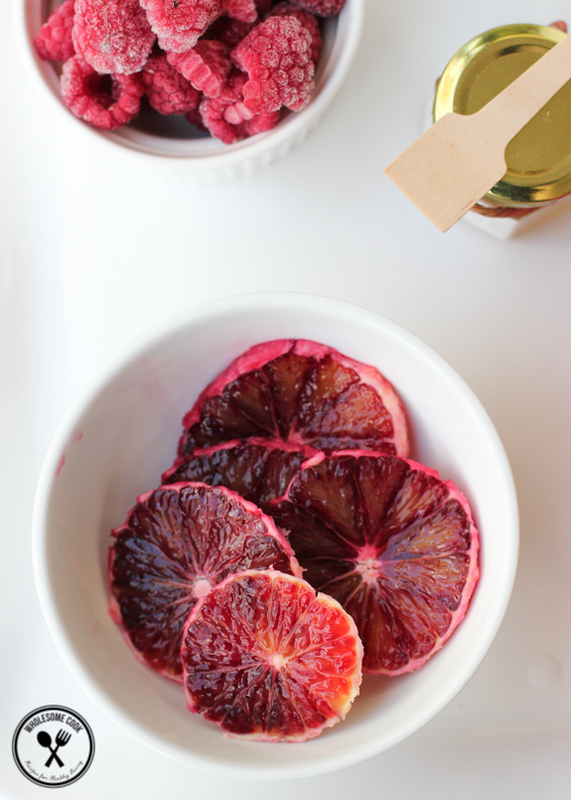 Blood oranges make me cry with tears of joy. TEARS I tell you. Love that chai-like color. I’m just wondering how you unmolded it so well! Do the eggs cook while in the mixture? I’m not a fan of raw or semi raw eggs. Hi Sewa, they will not cook as such, but they rather blend into the mixture. I halved this this recipe to make for two people but the balance of egg to other ingredients ended up really out and they were inedible ? I also didn’t get that rich dark caramel colour not sure why!